We cannot stop posting about Pelikan. This is also going to be available in September, though you may have already heard of it. 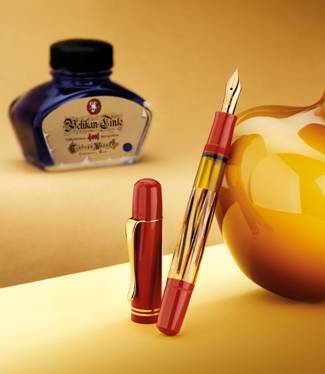 Following the successful models M101N tortoiseshell brown and M101N lizard, Pelikan launches the third variation in the historical series: The M101N tortoiseshell red. This model comes with an attractive gift box & one bottle of 4001 royal blue ink. Both feature a special historic motif, which makes the set a beautiful gift for every lover of the Pelikan brand. If you want to be the first one to enjoy this magnificent piece, make a pre-order and contact us to info@iguanasell.com!